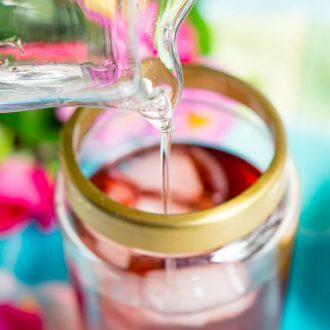 How To Make Simple Syrup at home in minutes with just two ingredients! It’s so easy to make and you can use the simple syrup in drinks, desserts, and more! Since I posted my Strawberry Peach Wine Slushies a few weeks ago, several readers have asked me the question “What is simple syrup and where do I find it?” Well, the answer is simple, ha, get it? Anyways, you can buy it at the store, usually located near the mixers in the liquor aisle, or you can make it yourself. This liquid sweetener is so easy to make, all it takes is equal parts sugar and water and a little time on the stove. 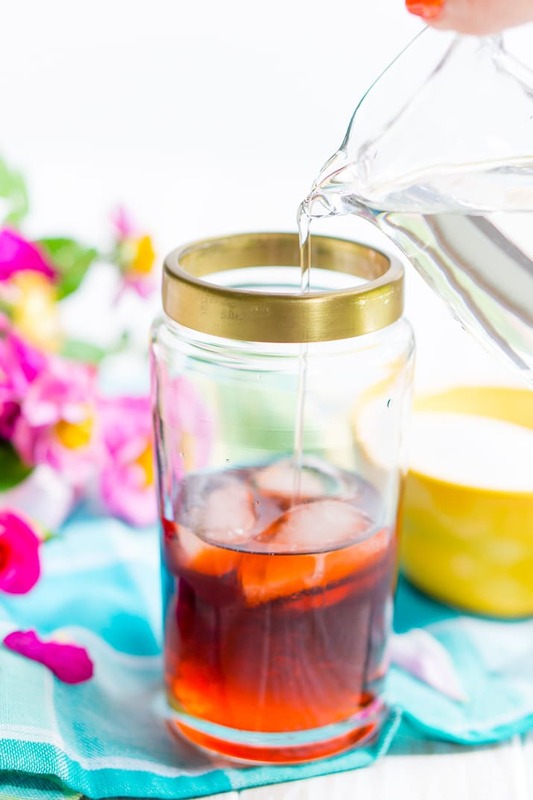 This syrup is the perfect way to sweeten cold drinks, no more sugar granules settling at the bottom of the glass, just perfectly mixed drinks. With a funnel and a pretty bottle, this could make a great little gift too! Buy A Funnel & Bottle Set Now! Simple syrup is made when the sugar dissolves into water over heat and maintains its liquid state after cooling. I love using it to mix cocktails like my Sangria Slushies or even lemonade. After making, the syrup can last for up to a month when stored in the refrigerator. Simple Syrup also makes a great glaze for brushing fresh berry pies with and I always keep it on hand in the summertime when ice cold cocktails and party punches are being whipped up on the regular around here! Here are a few more recipes you could use it for! What Is The Difference Between Simple Syrup and Rich Syrup? Simple syrup is made with a 1:1 ratio of water and sugar where rich syrup is made with a 2:1 sugar to water ratio. Simple syrup is the common recipe here in the states and rich syrup is common in the UK. Combine ingredients in a small saucepan and bring to a boil over medium-high heat until sugar dissolves, stirring constantly. Allow the syrup to cool before bottling up. Can Simple Syrup Go Bad? I’ve never had an issue with it going bad, but I tend to use it up pretty quickly and never make more than I know I’ll use in a reasonable amount of time. I would recommend storing this simple syrup in an air-tight bottle in the refrigerator for 1 month. 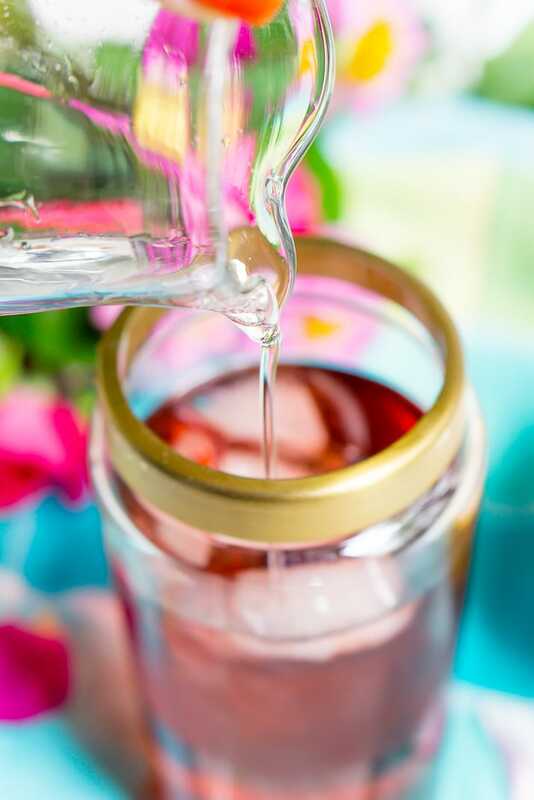 How To Make Simple Syrup at home in minutes with just two ingredients! It's so easy to make and you can use the simple syrup in drinks, desserts, and more! Combine ingredients in a small saucepan and bring to a boil over medium-high heat until sugar dissolves, stirring constantly. Allow to cool. SO many cocktails call for simple syrup. It is very nice to have around, as I love a whiskey or vodka sour on occasion. Yes, such a great addition to cocktails! 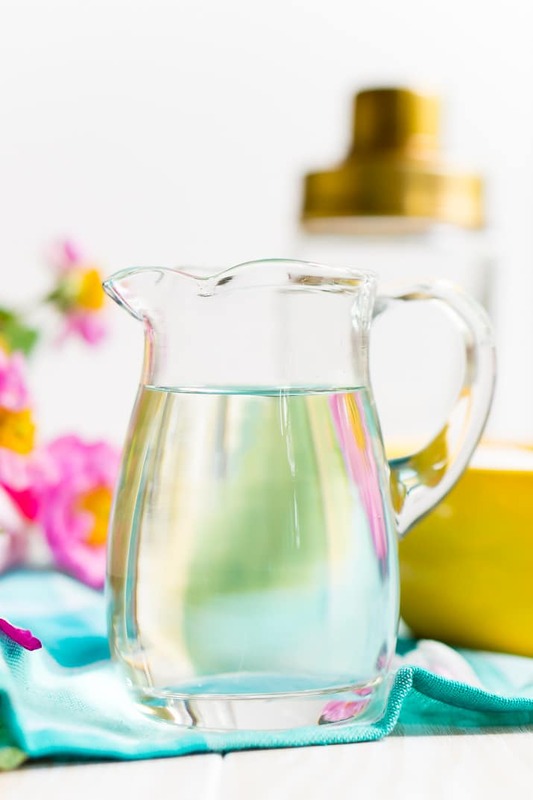 Can you use stevia instead of sugar to make a simple syrup?